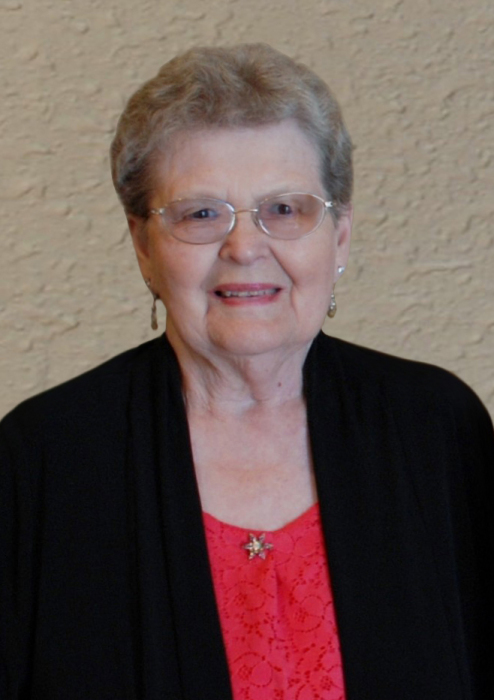 Kathryn Eckroth, 84, of Mandan passed away on April 10, 2019 in a Bismarck Care Center surrounded by her family. Christian burial will be held on Tuesday, April 16, 2019 at 10:30 A.M. at Spirit of Life Catholic Church with Rev. Todd Kreitinger officiating. Burial will be held at Mandan Union Cemetery. Visitation will be held on Monday, April 15th, from 6:00-8:00 P.M. at Weigel Funeral Home with a Rosary/Vigil service at 7:00 P.M. Visitation will continue one hour prior to the service at Spirit of Life Catholic Church. Kathryn was born on September 10, 1934 to Christian and Marianne (Vogel) Doll in Mandan, ND. She was raised on the family farm in Breien, North Dakota. She attended school in Fallon, ND and Copenhagen School District. When Kathryn was 15 her mother passed away. She then took on the role of “Mom” along with being the big sister to her four younger sisters. On February 1, 1954 she married Joseph Eckroth in Fallon. They lived and farmed on the farm that Joe was raised on and during this time they were blessed with eight children. In 1972 the family moved to Mandan, ND. Kathryn worked as a cook at the Seven Seas, River Ridge Coffee Shop & The Amvets. While at the Seven Seas she was affectionately given the nickname “Mama Kay” by the many young teenage kids she worked with and she was known as “Mama Kay” until she retired from the Amvets in 2011. Kathryn’s children, grandchildren and great grandchildren were her pride & joy. She loved to cook & bake for her family and Sunday’s were always a day of gathering for a dinner of her famous meatballs & gravy and apple pie. She was very proud of her homemade pickles and jelly. When she wasn’t cooking, baking or canning, she enjoyed embroidering. 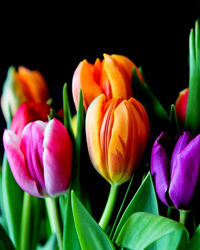 Kathryn will be deeply missed by her 8 children; Lola (Robin) Lee, Bismarck, Kay (Maury) Kamins, Bismarck, Donna (Greg) Pfleger, Bismarck, Randy (Cindi) Eckroth, Bismarck, Allan (Bridget) Eckroth, Grand Forks, Karen Eckroth & special friend Merrill, Bernie (RaeAnn) Eckroth, Mandan, Patty (Doug) Geiger, Mandan. 18 grandchildren, 36 great grandchildren, four sisters; Hilda (Ray) Fitterer, Mandan, Leona Stegmiller, Mandan, MaryAnn (Blaise) Koch, Mandan, Veronica (Larry) Olson, Lakewood, WA and sister-in-law, Angie Doll, New Salem. She is also survived by many nieces and nephews. She is preceded in death by her husband, Joseph, her parents, one brother, two sisters, and great grandchild, Katelyn Lee. The family would like to extend a special thank you to the nurses, CNA’s and staff at Missouri Slope Lutheran Care Center for the love and wonderful care they gave Kathryn while she was there. The family is forever grateful.